Every so often you get a business challenge that is beautifully massive, like this one: What role does digital have in Verizon retail? Why and where will customers be exposed to digital service solutions, and how will these solutions exceed customer expectations? It was with this new challenge that we went back to the drawing board. 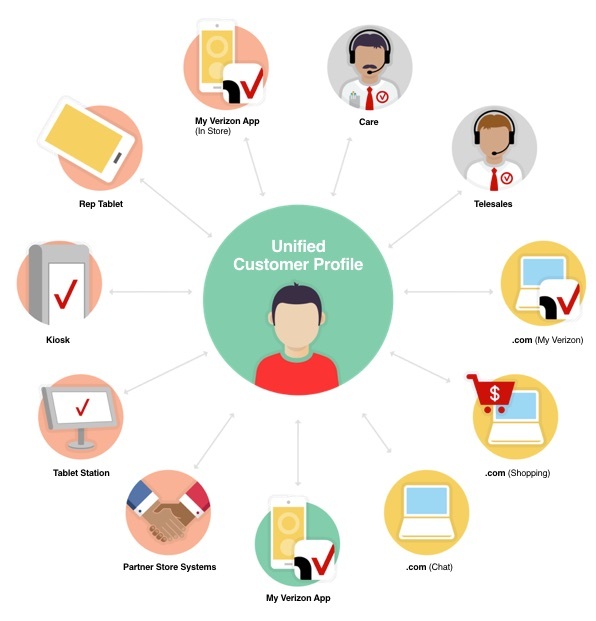 We began by mapping out customer journeys but soon discovered the reasons for visiting a Verizon store number in the hundreds if not thousands. This exercise would merely add complexity to an assignment in need of simplicity. 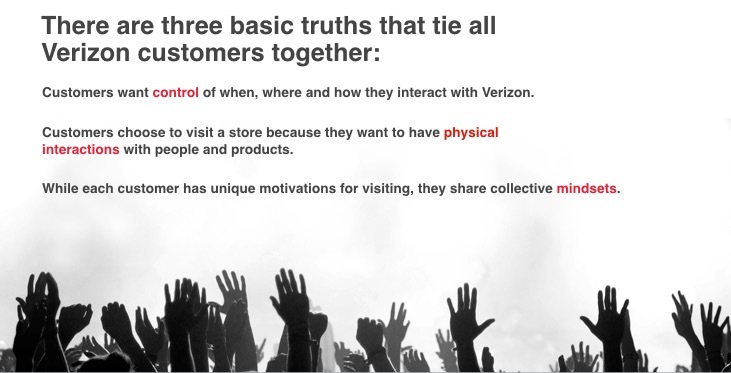 Customer control and physical interactions were almost givens, but the third point was entirely new territory for Verizon. Importantly, I uncovered quantifiable proof that customers are willing to pay higher prices and purchase more frequently when they can shop with a strategy that fits their mindset. So let’s provide Researchers with access to everything they need to know about a product. Let’s allow Target Shoppers to get in and out of a store as fast as possible. 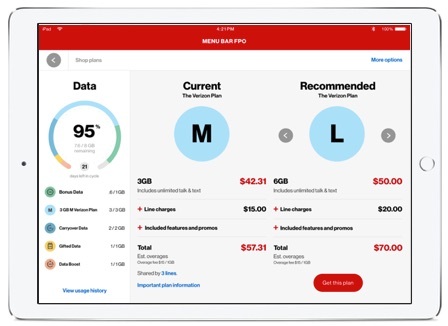 If empirical evidence alone didn’t sell Verizon on the value of leveraging mindsets in designing digital retail solutions, the data proving that it would result in their ability to charge a premium certainly did. This was the simplistic yet powerful structure we needed to guide our creative thinking. Focusing on customer mindsets has given AKQA the freedom to tackle a myriad of digital retail experiences, and Verizon has taken strategy further by applying it to the training of customer representatives and is using it to inform the new store design soon to be rolled out across the country. Up against an IT department hesitant about our new strategy, we sought out a base hit before swinging for the fences. To do this, we picked some key mindsets in store and fleshed out solutions that were low risk with the potential for high reward. For example, the Socializer likes to talk through options with others. They may have a list of specific tasks like buying a new phone, getting a new case, and changing their data plan to account for a teenager who loves to stream video. However, given their mindset they are going to meander through this list and want a representative to help them along the way. Taking this into account, we reviewed the representative tablet experience and discovered a major problem. The process by which representatives complete orders is very rigid starting first with acquiring customer authorization followed by changes to devices and finally to plans. Any variation on this process requires that the rep start over. The result is a long, laborious and frustrating experience even for the Socializer mindset. Our solution was to create a new process called Flex Flow. This process allows representatives to jump from issue to issue without having to start over when a customer lobs in another request. Feedback from representatives was immediate and positive when Flex Flow launched. Moreover, the time representatives spent navigating the buy flow with customers dropped considerably. 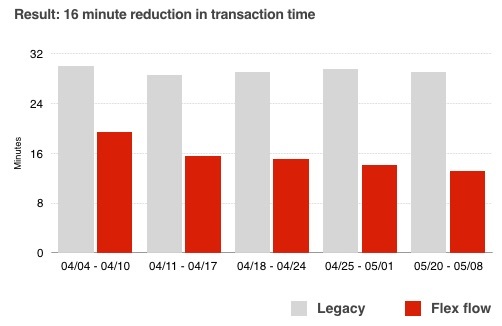 This time savings of 16 minutes, aggregated over thousands of customer interactions each day, resulted in massive savings for Verizon and improved customer experiences. 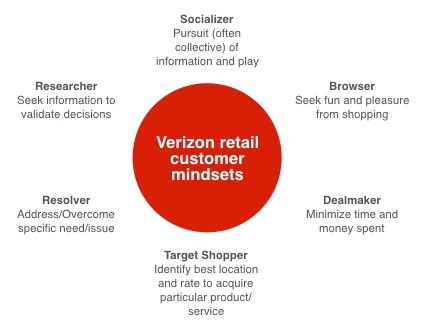 It’s proof that a strategic focus on mindsets works, and that the result is creative and measurable solutions for Verizon retail.